Kankhal (Hardwar), Uttarakhand, 249 408 India. The following list is of English books, but books in Hindi and Bengali are also available. Mother Reveals Herself. Bhaiji. Price on application. Kankhal, Haridwar 249 408, India. For single book – Euro 6.5, GBP 5 and USD 9 (postage extra). For 5 books – Euro 30, GBP 22 and USD 40 (postage extra). (subject to exchange rate at time of order). To order please make contact through S. K. Dutta (Patunda) at the above email address. Mother Reveals Herself is the only translation in English of the notes kept by Bhaiji (Jyotish Chandra Roy) of actual words spoken by Shree Shree Ma and also recorded in Svakriya Svarasamrita. The enlarged edition also includes some more relevant and startling incidents of Her life covering a period from 1896 to May, 1932. 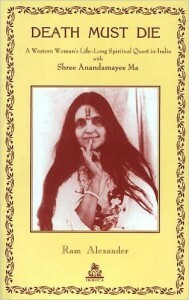 It is a rare and unique book that provides guidance to spiritual seekers. It provides factual accounts of the early years of Her life: Childhood, play of Sadhan Lila, Divine Revelation and guidance in Sadhana. This book is quite different in its content from the one Mother as Revealed to Me by the same author. The English translation has preserved Ma’s way of expressing her bhav and kheyal and is an invaluable resource for the sadhak (spiritual aspirant). This version includes 31 photographs – some are very rare, maps, footnotes, glossary, appendices and a detailed index. Besides this, explanation has also been provided for devotees who may not be familiar with the culture in rural Bengal over 100 years ago. The book contains 452 pages, 96 pages more than the earlier book, incorporating more revealing divine incidents. D 40/18 Godowlia, Varanasi – 221 001 U.P. India. Death Must Die gives an intimate first-hand account of a courageous woman’s spiritual quest in close association with several of India’s greatest modern saints. Ram Alexander, who was a close friend of Atmananda’s and a fellow disciple of Anandamayi Ma, writes with insight about the guru-disciple relationship. 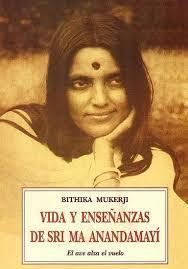 My Days with Sri Ma Anandamayi, by Bithika Mukerji. 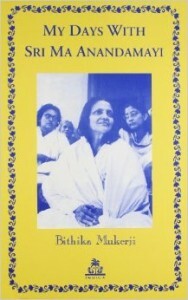 Trained in the highest rigours of academic discipline, Bithika Mukerji, being very close to Anandamayi Ma from early childhood, was able to observe from near rare dimensions of a surpassingly beautiful spiritual being. Her reminiscences of her days with the Mother consequently, have an authenticity, charm and insight difficult to come by. 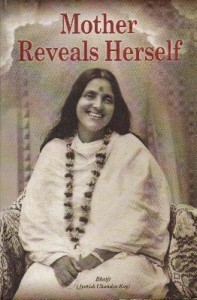 Anandamayi. Her Life and Wisdom, by Richard Lannoy. “Drawing extensively on her own words and advice to followers Richard Lannoy reveals a personality both breathtakingly simple and an enigma of fathomless complexity. His high-speed action photography captures her essence while his text recounts her dramatic spiritual metamorphosis from youthful ecstatic to venerable sage.